The measure is part of the current antitrust efforts of the government launched last month. Addressing his Cabinet today, Premier Abrahamyan said that while formally the markets of socially significant goods such as sugar, flour, wheat, eggs, rice, buckwheat, butter, margarine, bananas, oranges, baby food, poultry, medicines, gasoline and diesel fuel are not monopolies in Armenia, they are perceived as such by the public because of the high degree of concentration existing there. “This leads to such risks as disruption of competition, ousting of small and medium-sized enterprises from the market and limitation of access to new companies, the violation of consumer rights, corruption, unjustified fluctuations in prices and finally damage to the country’s overall economy,” the premier said, adding that the government will not limit itself to only the mentioned goods. 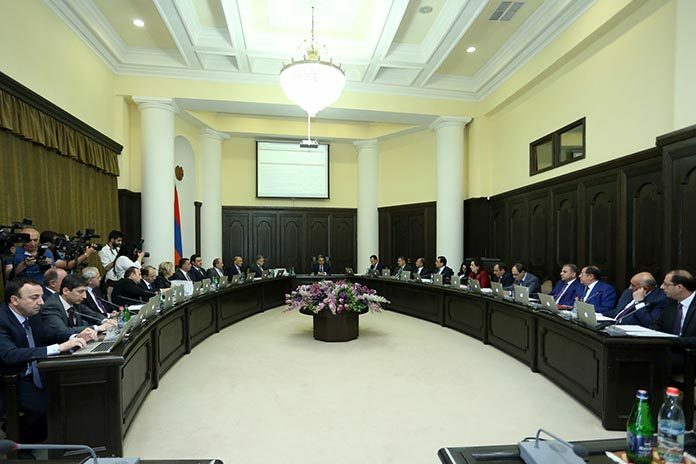 At the same time, Abrahamyan instructed the chief of government staff to introduce, within a month’s time, a hot line service that would get alerts on the relevant issues and respond to them. Most representatives of Armenia’s opposition and business community took with skepticism the prime minister’s initiative that was first announced on May 12. This skepticism was further stoked this week by the remarks of Economy Minister Artsvik Minasyan, who did not rule out that one of the country’s most lucrative importing sectors, sugar, could be granted a monopolistic position by law. He explained that it was needed to ensure the full operation of a local sugar processing factory. Prime Minister Abrahamyan did not address the matter in his remarks today.